Want to upgrade your level, acquire more Battle Power and cool equipment? You'll definitely stand out from the pack when you own Red Stones. 1. 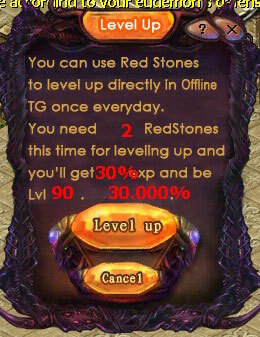 Exchange Red Stones for Experience in Offline Training Ground. After entering the Offline Training Ground (you must have God's Blessing), you will receive the following message. 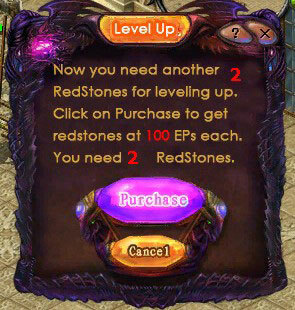 Click "Level Up" to continue, and it will cost you a certain number of Red Stones. 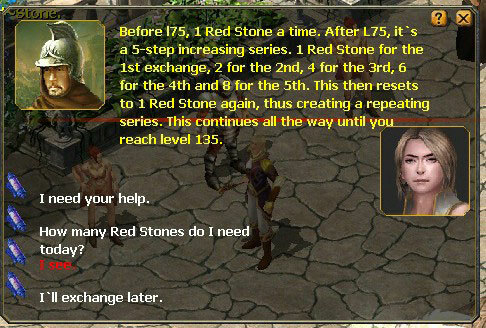 If you don't have enough Red Stones, there will be another dialogue informing you to purchase them with EP. 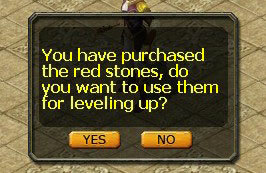 After proceeding, you will receive Red Stones in your inventory. Confirm the following dialogue to complete your upgrading. 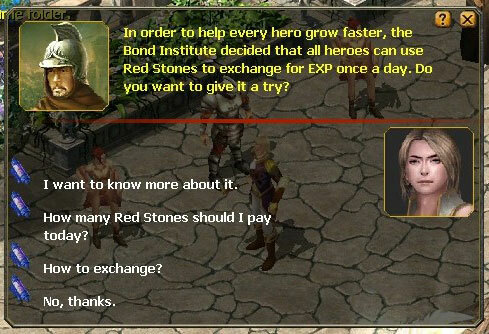 Tips: You can only exchange Red Stones for EXP once per day. Or, you can complete this action by talking to Yolanda. 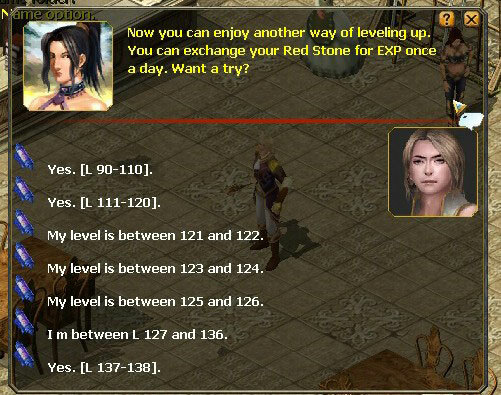 Different level requires different amount of Red Stones and the EXP acquirement is also different. Make the best choice for your level! If you don't have God's Blessing to enter Offline TG, you can talk with Garrison (Cronus 259,480) for the exchange. 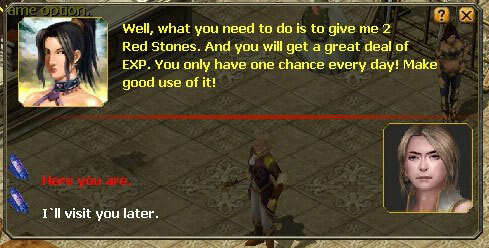 Before you reach level 75, you only need to give him 1 Red Stone a time. 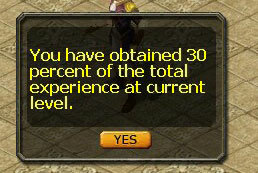 However, after level 75, the exchange rules change. 1 Red Stone for the 1st exchange, 2 for the 2nd, 4 for the 3rd, 6 for the 4th and 8 for the 5th. Then the round repeats, 1 for the 6th and 2 for the 7th, and so on.